Whether it’s a question about health care, building codes, happy hour laws, insurance, expansion or contraction, or to talk about industry trends - the Illinois Restaurant Association’s membership team is there as your ally. 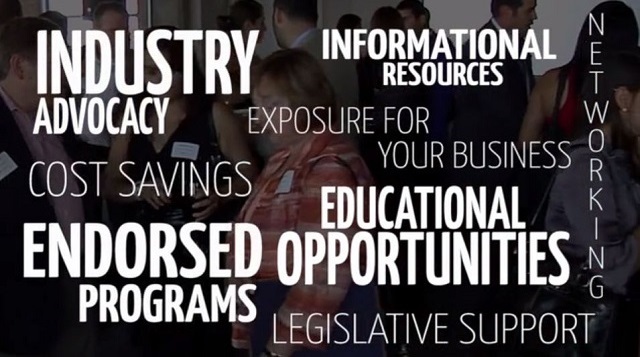 The IRA provides restaurant operators, suppliers, and manufacturers in Illinois with valuable business resources, networking opportunities, endorsed cost saving programs, and government advocacy – all of which stems from membership. “Membership is the backbone of everything we do. We are the one-stop shop resource for any restaurant operator. If we can’t answer their questions directly, we can quickly refer members to the person or people that they need to contact in order to resolve their issue.” – Eric Fine, Director of Sales and Marketing. The Illinois Restaurant Association has been dedicated to promoting, protecting, educating and strengthening the restaurant industry in the state of Illinois for over 100 years. With over a century of success, we know how to serve our members. Whatever you need – our team is here for you. The IRA is an information resource center where members can get answers to questions about new legislation, legal issues, and industry trends. Members also have access to legislative representation through the IRA’s leadership, staff, and lobbyists who advocate on behalf of the industry. Members receive a steady stream up information from the IRA’s weekly “President’s Report” which includes information on government affairs, current issues, new members, industry trends, important dates, and upcoming events. Additionally, all members receive an annual subscription to Seasonings® - the monthly newsletter that you’re reading now! Seasonings® dives deeper into what the Illinois Restaurant Association and its members are about. 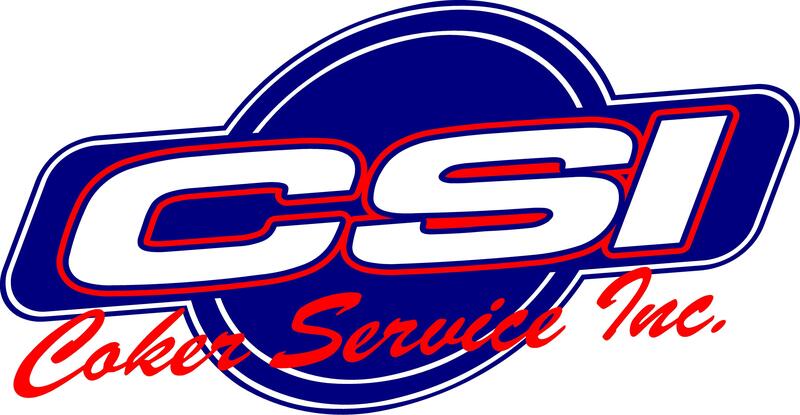 All members have access to cost saving benefits for a variety of industry-related programs and services, including city and state-required ServSafe classes for food sanitation and alcohol server training. IRA members also have access to discounted rates for credit card processing and payroll services, as well as discounts for insurance, energy conservation, uniform services, music licensing, and much more. In addition, employees of IRA member restaurants and their family members qualify for discounts on educational tuition from Kendall College! “The IRA was a tremendous asset in helping make sure that I was compliant in all aspects of HR, payroll, and licensing. They also pointed me in the right direction for assistance in obtaining licensing. Sometimes it can be a confusing process to deal with the City, and the IRA helps to streamline it." In a world where more and more consumers are turning to social media channels for news, having an online presence is key. Members can market their events, menu changes, and specials at no cost through the Illinois Restaurant Association’s social media platforms. In addition, members can take advantage of local, state, and national food service industry networking events, trade shows, and intimate roundtable discussions hosted by members of the IRA. Serving over 3,000 members in the state of Illinois, the IRA’s membership team has a combined 53 years industry experience and are passionate about giving back to what has given them so much! If you or a colleague are interested in learning more about joining or getting more involved in the IRA, click here or reach out to our dedicated staff any time! The IRA recently sat down with TJ Callahan of the Farmheads Group to learn more about his industry background and what he’s doing with his restaurants, which include Farmhouse Tavern (Chicago and Evanston) and Farm Bar in the Lakeview neighborhood in Chicago. What is your role at Farmheads? I handle all of the business strategy and overall growth of the company. I like to refer to myself as “adult supervision.” My role is to find the restaurant locations, raise capital, research industry trends and develop the business model. How did you get started in the food and beverage industry? Tell us a bit about your background. I started working in the foodservice industry when I was 14 years old. I spent my summers working as a grill cook in a Dairy Queen style restaurant in Lake Winnipesauke, New Hampshire. I worked various restaurant jobs while I was in college and then after I graduated I worked as a food and beverage manager at a small ski resort on the East coast. I’m not a chef, but I’ve worked as a restaurant GM and I’ve worked for corporate dining operations. I bring a different perspective to the team. I moved to Chicago in 1995 and spent a lot of time in restaurants and bars. One day, I decided that I wanted to build the type of restaurant that I’d want to dine at, someplace that I’d feel good about the food and the products that I was consuming, so that’s when I opened Farmhouse. In 2011, along with my business partners Ferdia Doherty and Diane Mulligan, I opened Farmhouse Tavern in Chicago’s River North. Farmhouse is a farm-to-tavern concept, focused on Illinois, Indiana, Wisconsin and Michigan. Farmhouse offers its guests locally sourced craft beers, craft liquor, ciders, 18 Midwestern wines and food sourced from the four states. The restaurant strives to minimize its ecological footprint. Over 85% of the building materials were recovered from an abandoned factory on Chicago’s South Side and we operate a roof garden as well and compost all of the food waste. In 2013, my partners and I opened a successful second Farmhouse Tavern in Evanston, built primarily from Wisconsin barns. FarmBar will open in November in Lakeview and will be a simpler version of Farmhouse. We’ll use 100% pasture raised, antibiotic and hormone free beef. We’re sticking to the same farm to tavern concept. Everything we serve will be sourced from the Midwest – the produce, the meat, the wines and the beers. Even the wood we used to build the restaurant is from the Midwest. It’s going to be a beautiful space. What is your favorite culinary trend at the moment? If you could dine with three people, dead or alive, where would you go and what would you eat? I would go to one of the original, early 1900’s French restaurants in Paris and I’d dine on traditional French food. I’d want my dining companions to be the restaurant Escoffier, famed author PG Wodehouse and Julia Childs. What are you most looking forward to during the next 5 years of your career? I’m looking forward to growing the Farmheads brand. We’ve talked about opening a brewery in Naperville. I want to open additional Farmhouse locations in the neighboring states. And, I think it would be fun to open a FarmBar at Midway or O’Hare. It’s my belief that all airport restaurants should give you a sense of place and serve food that is native to the region in which you are. TJ Callahan has had a thirty-year career of success in the restaurant industry. After earning his undergraduate degree in Hotel, Restaurant and Travel Administration from the University of Massachusetts, he worked in management roles with major chains such as Bennigan’s and TGI Friday’s, and later with Aramark. He then shifted his focus to foodservice and restaurant consulting with Landauer Associates, running multiple teams conducting dozens of feasibility studies for US military clubs all over the world. TJ later moved to Technomic, the country’s premier restaurant industry consulting firm. In six years with Technomic, TJ was engaged on strategic consulting assignments with dozens of leading large to mid size restaurant companies including Don Pablo’s, Brinker, Taco Bell, McDonald’s, and many others. TJ later took over US foodservice operations for BP, growing its proprietary bakery café concept, Wild Bean Café, from 25 units to 165 units in four years. TJ then served as CEO of Claddagh Irish Pubs, a $45M, 17-unit, upscale Irish Pub chain located in eight Midwestern states. Under TJ’s leadership, the company was sold for ten times EBITDA in 2008. TJ and his wife Molly own Brown Dog Farm, a 140-acre farm in the dairy country of Southwestern Wisconsin. When he’s not at the farm, TJ makes his home in Chicago’s Lakeview neighborhood. For fun TJ is an occasional marathoner, a proficient cook, a serious baseball fan and a painter when he has the time. He also loves his two Chesapeake Bay Retrievers. Originally from Boston, he now lives for the first Cubs/Red Sox World Series. Chi-Town Rising is promoting the city's restaurant scene as part of that celebration, and we hope that you'll consider supporting Chi-Town Rising in this effort. There are three ways you can become apart of the experience. During the Holiday Weekend (December 30 - January 3), Chi-Town Rising will offer an Official Chi-Town Rising Discount Card to guests staying at partner hotels. The card will provide special discounts and amenities to guests who choose to book reservations at participating restaurant locations, shop at participating retailers, or visit participating cultural attractions. Your establishment can also become a Chi-Town Rising Official Supporter. By becoming a Chi-Town Rising Official Supporter, visitors will be encouraged to visit your establishment while spending the holiday weekend in Chicago. You will also get access to tickets to the audience/VIP zone, which can be used in promotion or customer recognition. 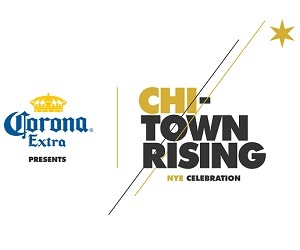 Chi-Town Rising can also help your establishment promote your New Year's Eve event! By becoming an Official Event Partner with Chi-Town Rising, visitors will be encouraged to purchase tickets to your establishment's events during the holiday weekend. Partner establishments will be provided with signage and materials to sport the look and feel of Chi-Town Rising. If you have any questions, or would like to discuss becoming a part of Chi-Town Rising, please contact Sara Travis at (312) 771-6259 or Sara.travis@getinthearena.com. A corporate sponsor of the Illinois Restaurant Association, ReSource Point of Sale claims that their growth is fueled by their passion for providing excellent customer service and offering the highest-quality repair on a wide range of POS systems in Chicago, and nationwide. “High volume restaurants sometime see problems, and problems don’t necessarily arise when the guests are not in the restaurant, but mostly arise at what seems the most inopportune time for the operators. Typically, things always magically go awry at 7:30 on a Saturday night - it never happens at 9:30 in the morning on Monday” states Katie Syracopoulos, Assistant Director of Operations at One Off Hospitality and a ReSource POS customer. "We absolutely love working with ReSource POS; we have incredible support from them, whether it’s during business hours or after hours; their response time is incredibly fast and we have very personal one-on-one support whenever it is needed. At One Off, we’ve experienced everything from very basic printer router problems to full system crashes and there are so many different outlets that ReSource has provided for us for that support. We not only deal with technicians at ReSource on the phone or via email, we have a lot of face-to-face time with them as well. That is one of the many things that separates ReSource from a lot of vendors regardless of what industry you’re in… it is a very personal touch. You can find ReSource’s headquarters in the Bucktown neighborhood of Chicago. Their offices are equipped with 30,000 square feet of new and refurbished POS hardware and peripherals, an in-house repair center, and a full-staff of POS service, support, and sales specialists that can help you out with any of your point of sale needs. 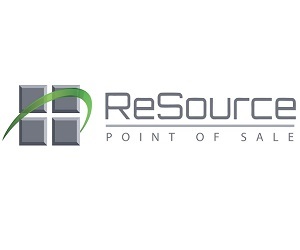 Click here to learn more about ReSource Point of Sale and customer testimonials. 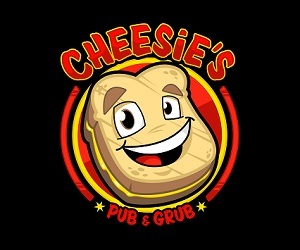 Cheesie’s Pub & Grub has been in business in Chicagoland for nearly five years. Home of “America’s Best Grilled Cheese” as voted by Esquire Magazine in 2013, Cheesie’s business is growing beyond America’s favorite sandwich. Currently, there are two brick and mortar Cheesie’s locations – one on W. Belmont Avenue in Chicago and one on Davis Street in Evanston - and one mobile food truck. The menu items include appetizers, soups, salads and 10 varieties of grilled cheese sandwiches including “The Original” - American cheese and Merkt’s cheddar cheese on Texas Toast, served with tomato soup dipping sauce. Another favorite is “The Napolean” – cheddar cheese, blue cheese crumbles, tator tots, bacon and hot sauce on Texas Toast, served with Ranch dipping sauce. Cheesie’s is happy to announce that they are currently working on opening a third location in Wicker Park, which is projected to open in early December of this year. Additionally, the team at Cheesie’s will be opening a new concept next door to the Wicker Park location called Whiskey Business. It’s exciting to note that Whiskey Business will have one of the very few rooftops in the Wicker Park/Bucktown area and it will seat approximately 150 people. In the future, Cheesie’s hopes to open another location in River North, which would also include Whiskey Business as a neighbor. Cheesie’s is taking Chicagoland by storm, one grilled cheese at a time.